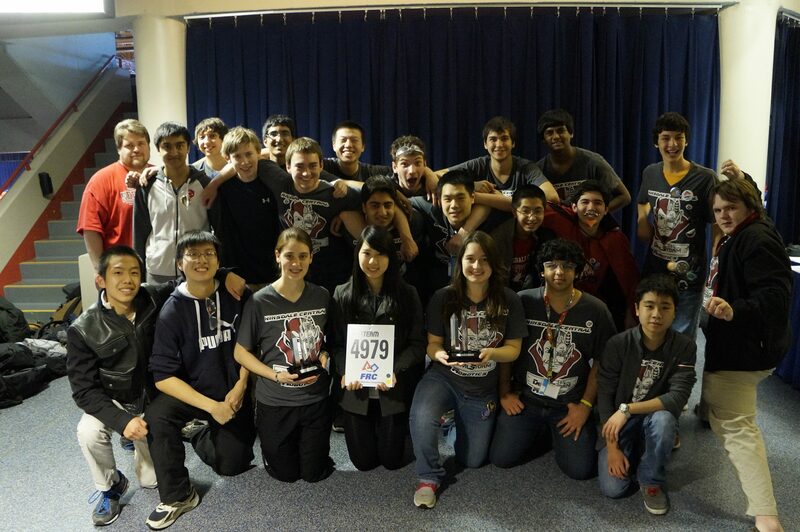 We’d like to provide another update on the progress of the proudly JobGiraffe sponsored DevilStorm Robotics Team from Hinsdale Central High School. They are now in the middle of their ‘Build Season’, the 6 week long period when they must design and build their robot before it competes in the regional FIRST Robotics competition (it is called Recycle Rush and you can read all the details about it here). The mechanical department of the DevilStorm team has moved from designing their parts within a CAD software program (computer-animated design) to actually ordering their parts and beginning to assemble them. Of course, since they designed their parts on a computer the parts they ordered are not exactly to the specifications they need, so they had to fix these discrepancies themselves. 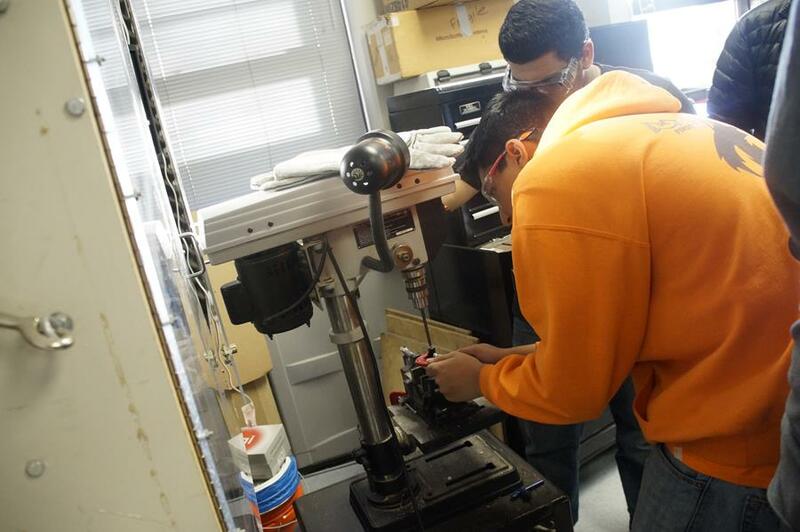 Next, they moved onto actually manufacturing & building the subsystems of the robot, which included building a tower section with steel cable supports to create a lifting mechanism, as well as several gearboxes that allow the lifting to actually work. 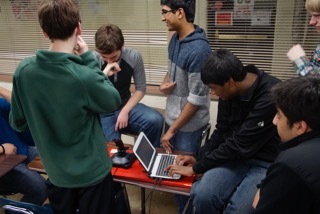 The programming department has been working on implementing computer vision, which will essentially be what allows the robot to see and identify containers that need to be picked up during the autonomous part of the competition (in which the robot will work on it’s own without input from the team). They have also been working on the very important controllers that will be used during the part of the competition in which the team controls the robot. As you might imagine these controllers working correctly is paramount to the robot’s success. 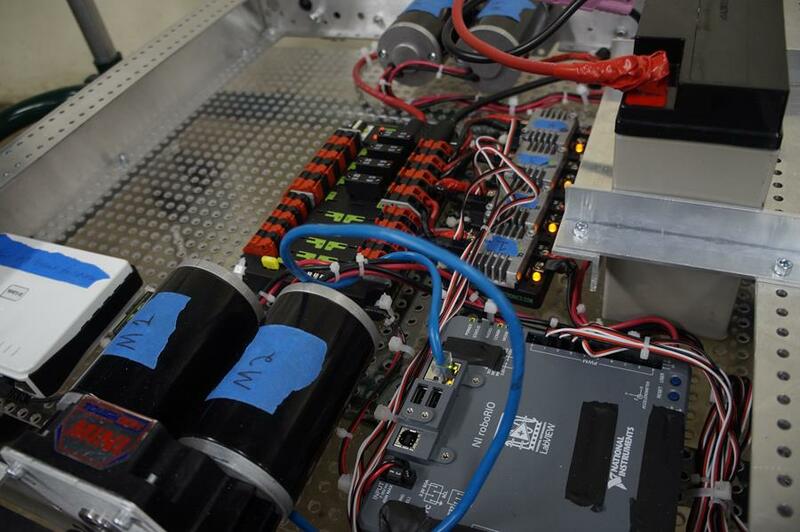 The electrical department has been playing a bit of a waiting game because the parts of the already assembled robot are completely wired, meaning they are waiting for more components of the robot to be complete before more wiring is necessary. In the meantime they have been researching for the right encoders to be used on the robot, encoders that will help convert the computer’s instructions into the correct electrical signals to be sent to the mechanical components of the robot. The logistics department had a big win by securing two new sponsors for the team, and they could have a third one soon as well. They have also been updating several documents related to inventory and budgeting, which then informs them on another important responsibility of theirs, parts ordering. One of the logistics department’s roles is to keep everyone else organized and on target, and it seems that they’ve been quite successful in this regard. In other news the team has finally decided on a name for the robot, it shall be known as Stanley! We are always excited to hear the updates from the DevilStorm Robotics team, and are always impressed by the quick progress they are making in the complicated process of creating a robot from scratch in just 6 weeks time. The team could always use additional funding as well as help from mentors, if you’d like to help you may email devilstormrobotics@gmail.com. 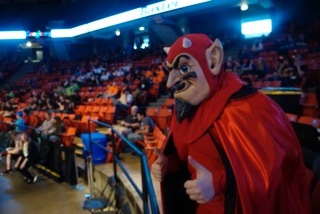 Additionally, you can follow the team and learn more about the specifics of their progress on Facebook at http://devilstormrobotics.cmail2.com/t/t-l-tytuzl-iljrjtvt-r/ and on Twitter at http://devilstormrobotics.cmail2.com/t/t-l-tytuzl-iljrjtvt-y/. 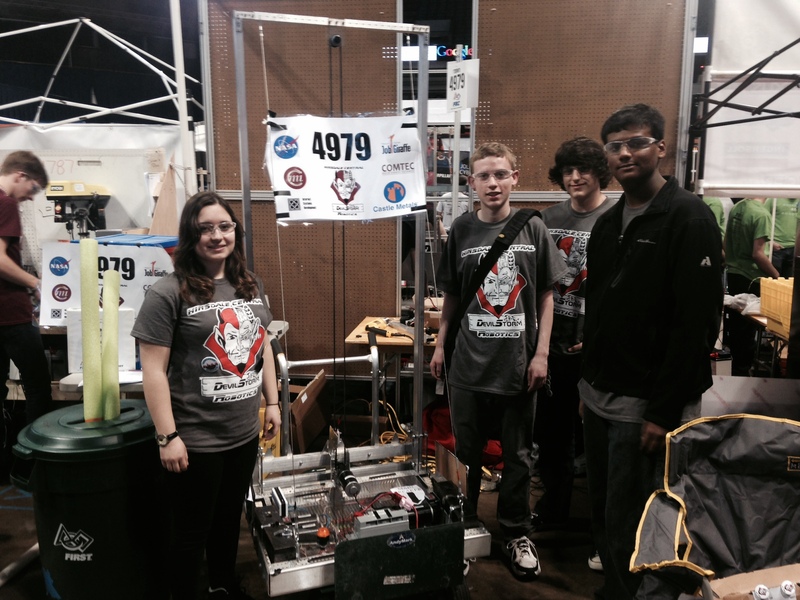 The Hinsdale Central High School robotics team, which JobGiraffe proudly sponsors and roots for, has made great progress lately. 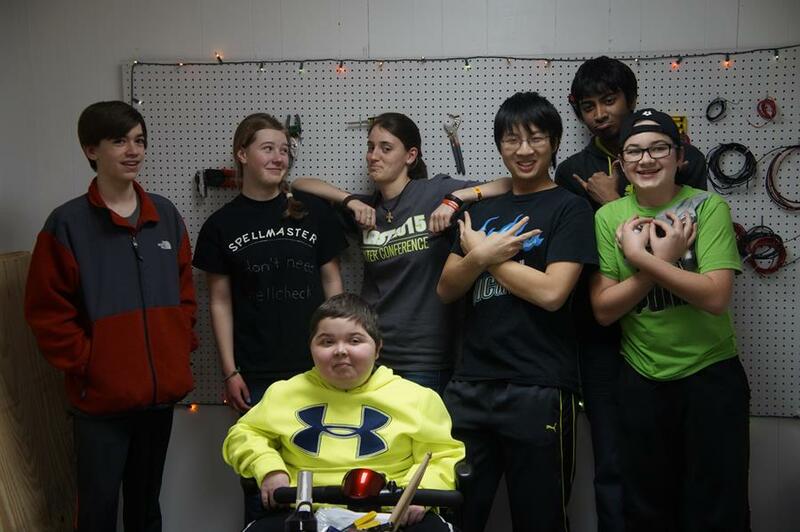 They are in the beginning of their 6 week long ‘Build Season’, in which they have to design and build their robot that will compete in the Midwest regional FIRST Robotics Competition. This year’s competition is called Recycle Rush (and you can read all the details about that here). DevilStorm’s team members have been separated into departments of sorts, meaning that certain students focus on certain components of the robot’s design, after which they then have to work together to make sure each component works well with all the others. It’s not a simple process, but progress is being made! The mechanical part of the team has finished the very important CAD development stage of the building process. 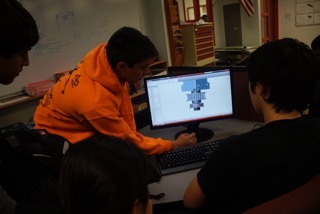 CAD stands for Computer-Animated-Design, meaning the students learn about, and then use, complex software so as to design the integral parts of the robot. In this picture you can see the students analyzing the design of the motor controllers for the robot, which will be the part of the robot that allows it to drive. But the robot is not all mechanical – it is also part computer! Without computerization, the robot would not be able to accomplish its intricate recycling-related goals. 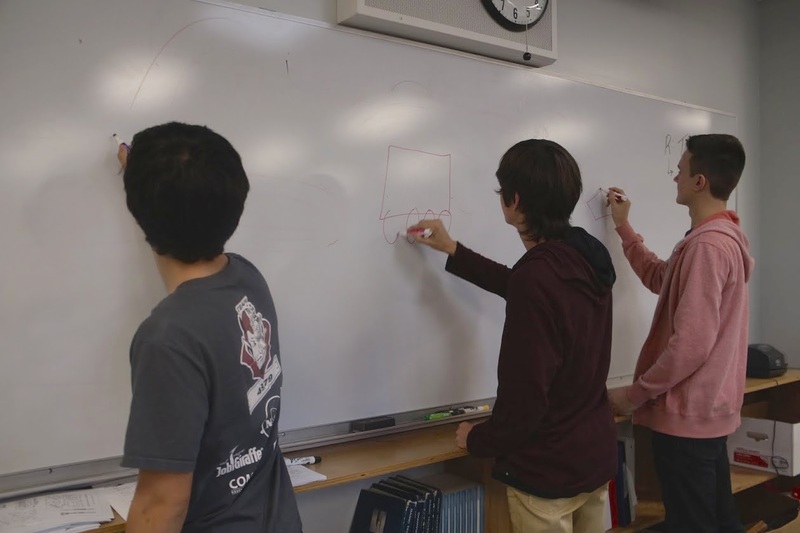 With the help of their mentors, as well as with help from the FIRST Coding Library, the computer part of the team has successfully simplified the programming code, which controls the computer software within their robot. This coding simplification will help their robot run in a more optimal manner related to its specific operation goals. Keep in mind that the robot must be able to run self-sufficiently, as well as be controlled by the students; meaning the efficiency of the code is quite important! 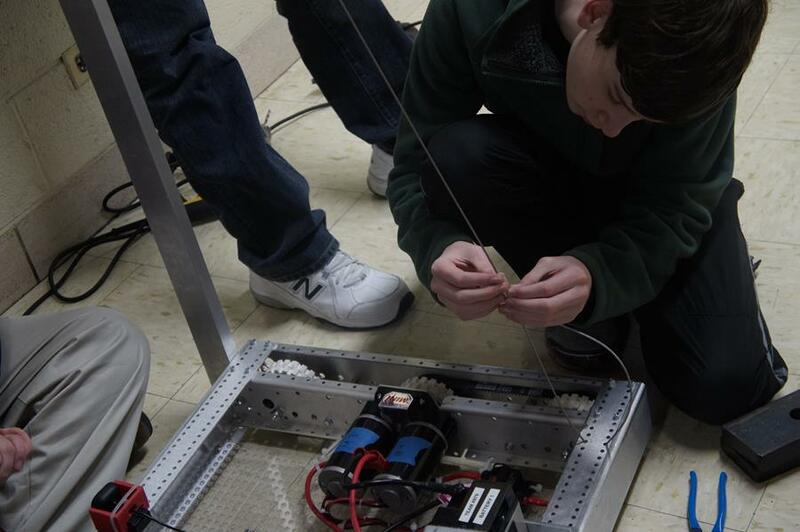 The electrical side of the team has successfully connected all the motor controls to the robot, meaning it has full movement capabilities. In doing so they have also taught the younger members on the team exactly how one goes about wiring a dynamic machine such as this. One of the more complicated aspects of this process is working with the programmers, so that the code they write correctly knows how to communicate with the robot’s wiring – which is what will allow it to move and operate in exactly the way they wish it to. 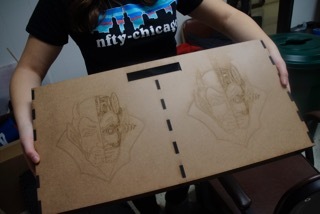 And lastly, the “driver station” has received a nifty looking laser-cut design depicting the team’s logo, which is half-robot/half-devil figure that looks very intense indeed! We are excited to see the next steps in the ‘Build Season’, and see what the DevilStorm robot team will look like as it continues to take shape! To follow the team and learn more about the specifics of their progress you may follow them on Facebook at http://devilstormrobotics.cmail2.com/t/t-l-tytuzl-iljrjtvt-r/ and on Twitter at http://devilstormrobotics.cmail2.com/t/t-l-tytuzl-iljrjtvt-y/.